If you are new to Spirituallyunequalmarriage.com, your are welcomed with open arms and with the love of Christ. You are no longer alone. We are here to help. Lynn Donovan and the entire community of believers who are living out our faith in Jesus and loving our pre-believing spouse, are cheering you on and will walk with you as we discover together that our God is the God of impossible and a God of miracles and salvation! There are many ways to join the conversation and to receive encouragement. Scroll down and subscribe, join and let us know who you are and share your heart, prayer requests and life with people who are safe, vulnerable, truthful and fearless in Christ. Scripture, stories, friendships, happen on our Facebook Page. Join the discussion, ask us questions, share your thoughts, and be encouraged. Visit our "Join Us" page and see what living in this community can give you. Then hop over to our Community Map and let us know you have joined this family who will love you and live with you through the good, bad, ugly and the astonishing. The 10 principals in this book come straight from our lives and they are a culmination of all that the Lord has taught us about living, loving and thriving in our unequally yoked marriage. It is our earnest prayer your life will be transformed through the words and encouragement we offer. This is our love offering to our husbands and our Lord. If your husband or ex-husband doesn't share your faith, you probably pray and stress over how to raise faith-filled children. Your spiritually mismatched home may feel like the wilderness where the children of Israel wandered on their way to the Promised Land. Will they ever make it? What about God’s promises? Now the authors of Winning Him Without Words and founders of Spiritually Unequal Marriage offer 10 faith principles you can pass on to your kids. In Not Alone, you’ll find encouragement and inspiration from Scripture and true-life stories from other spiritually mismatched moms. Plus, find practical tips for capturing teachable moments with eternity in mind, and discovery questions to help you grow as a parent. This is a parenting book, but it’s much more. It’s a love letter to all mothers—a message that changes our homes, our kids and our lives. It’s about the Father’s love that impacts those around us and changes ordinary moms into women of extraordinary grace, beauty and wisdom. You may sometimes feel you’re on your own when it comes to godly parenting, but Jesus promised to be with you always. You’re not alone! These are the articles that are helpful and pertain to some of our common struggles in a spiritually Mismatched marriage. Also, look for a ton of free resources visit Mismatched & Thriving Ministries. Videos and tip sheets, request bookmarks and a leader's kit. We have excellent resources for thriving in your marriage. Visit our Resources Page and our Recommended Reading Library to view our recommendations. 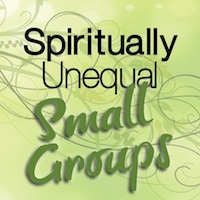 Praying Luke 9: 1-2 with Lynn Donovan from Spiritually Unequal Marriage on Vimeo. Praying with the power and authority of Christ. 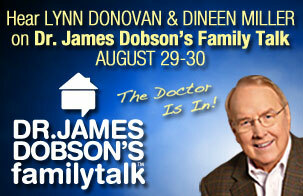 The following is one of our recorded broadcasts of the Intentional Marriage show. May, 2011. The Intentional Marriage May 2011 from Lynn Donovan on Vimeo.